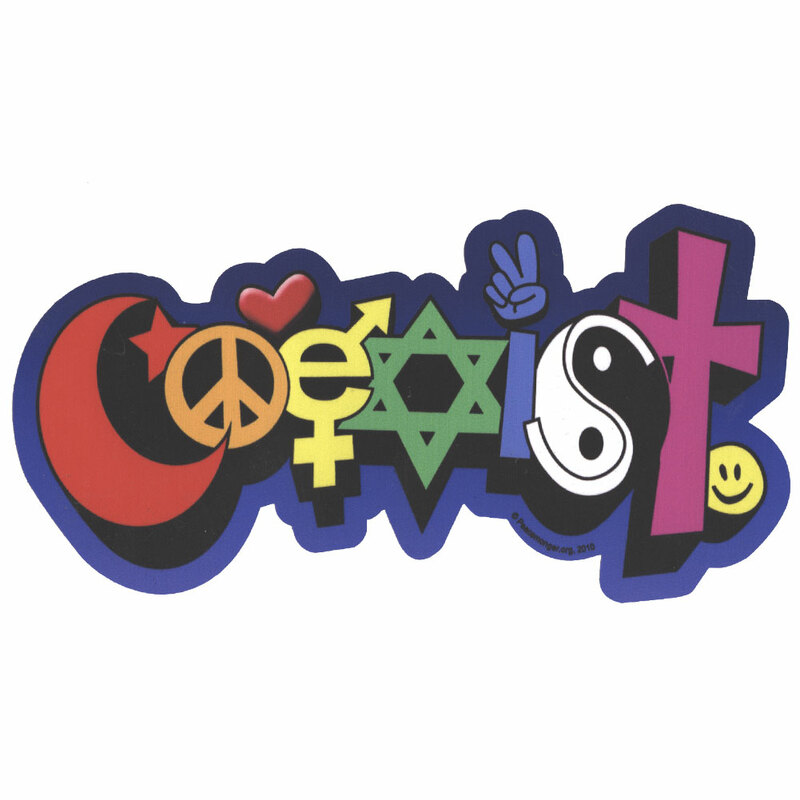 This color sticker features a graffiti style design of COEXIST in rainbow colors. 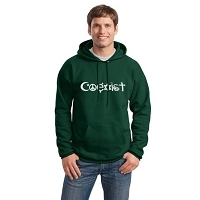 A contour cut puts a finishing touch to this graphic sticker. 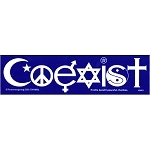 You can order this sticker applied to strong magnetic or static cling material for diversity in application. Magnetic bumper stickers are sliced flush to the sticker. 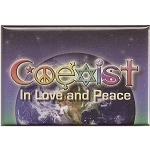 The intricate nature of this sticker applied to magnetic material requires extra time and a slight up-charge. Applied to static cling, your sticker is adhered to clear static sensitive material. Place it on either side of a clean glass surface.